Atlantyca, is pleased to announce that it has secured a new multi-territory broadcast deal that see the launch of the newest season of the Geronimo Stilton animated series, The New Adventures of Geronimo Stilton throughout Central Europe and the Baltics. Atlantyca has signed with Central European children’s channel, Minimax for the renewals of Geronimo Stilton The Animated Series, seasons 1 and 2 and, in addition, has secured the acquisition of, The New Adventures of Geronimo Stilton, the ‘third’ season of the globally popular animated series. Minimax channels included are for Hungary, Czech Republic, Slovakia, Romania, Moldova, Ex-Yugoslavia (Serbia, Montenegro, Bosnia and Herzegovina, Kosovo, Macedonia, Slovenia, and Croatia.) In addition, Atlantyca secured a new broadcast deal renewal for season 1 and 2 and “The New Adventures of Geronimo Stilton” for ERR Eesti Rahvusringhääling - Public Television of Estonia, Inspired by the popular book series of the same name, the animated series focuses on the life and adventures of the super famous mouse journalist and head of the Geronimo Stilton Media Group. Together with his fearless nephew Benjamin, his funny cousin Trap and his sister and daring special correspondent Thea, they scour New Mouse City for new scoops, travelling the world from exotic islands, to the frozen arctic and scary jungles! Season 1 and Season 2, produced with the participation of RAI Fiction, France Television and M6, have been sold in more than 130 countries. 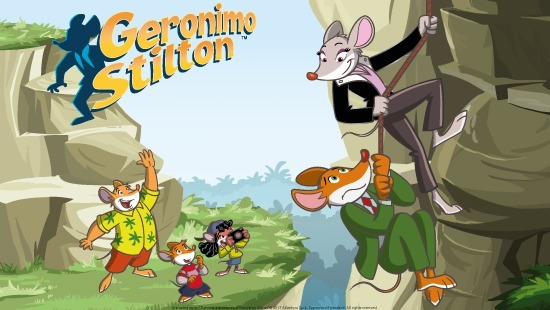 The New Adventures of Geronimo Stilton, a coproduction with Superprod with the participation of RAI Fiction and France Television as broadcasting partner, has already premiered in more than 30 countries and it has been sold in more than 100.